Hanna Perlstein Marcus was born at the Bergen Belsen displaced persons camp after World War II. At the age of two, she immigrated to Springfield, Massachusetts with her mother, Sidonia, her only family. After living in one room of a widow’s home for several years, she and her mother moved to an apartment building nearby in the seedy North End of the city, where they met the community of Jewish refugees who would surround them until Hanna’s adolescence. Both love and distrust permeated Hanna’s relationship with her mother throughout their life together. She loved her mother for her unwavering devotion and affection, yet hated her for her reclusiveness and secrecy regarding important life issues, such as the identity of her father. 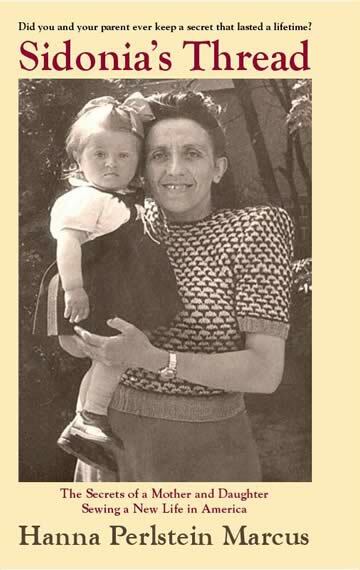 Yet, her mother was willing to talk about her struggles during the Holocaust, losing her entire Hungarian family, conveying her daily stories in a steady, purposeful manner at the kitchen table. Sidonia’s remarkable skill at design and dressmaking was her saving grace in America and her daughter, Hanna, was always her dutiful model. Marcus knew at a very early age that she would one day write about her life with her mother and the eclectic yet intriguing everyday happenings among the cast of refugees in her childhood community. After an early start at school, she graduated high school at sixteen and college at the age of twenty, earning her first Masters Degree a year later and then her second Masters in Social Work. After a long career as a licensed clinical social worker and human services administrator, she finally took the time to write the stories she had always held in her heart. Her experience as a social worker has informed her ability to tell the tale of a mother and daughter shaped by oppression and loss. Marcus’s first book, Sidonia’s Thread, about her life with her mother, received substantial acclaim, earning the 2014 Best Kindle Book Award for nonfiction, and nominations for the Sarton Memoir Prize and Sophie Brody Medal. She has appeared as a featured speaker at numerous functions including venues such as libraries, synagogues, churches, colleges, book festivals, and nonprofit organizations and associations about the story of Sidonia’s Thread. Her story has appeared in press and other media outlets including the Boston Jewish Advocate, the Kansas City Jewish Chronicle, the Manchester Inquirer, the Hartford Courant, the Springfield Republican, Manchester Life, Coats and Clark Sewing Secrets blog, Hadassah Magazine and the radio shows, “The Talk of Connecticut” and “Tuesday Lunch with Abe,” Los Osos, California. 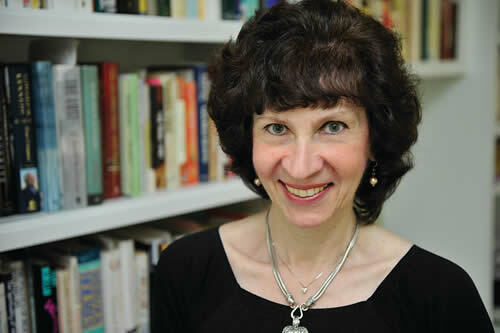 She was featured as one of the 2012-13 authors on the Jewish Book Council Network Tour, appearing in cities such as Detroit, Virginia Beach, and Los Angeles. She has appeared twice at a two-day book signing at the U.S. Holocaust Memorial Museum in Washington, D.C. and made a special appearance at the Midwest Center for Holocaust Education in Overland Park, Kansas, as well as at the most historic synagogue in Boston, the Vilna Shul and Miskan Torah Synagogue in Greenbelt, MD. 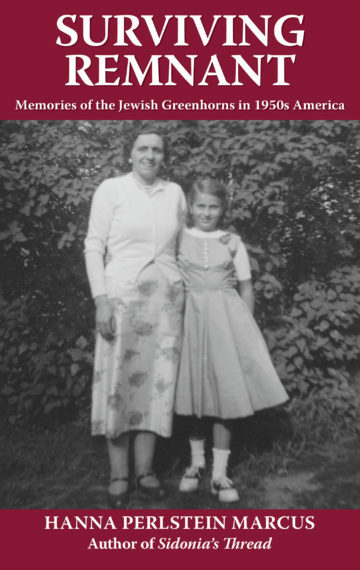 In Surviving Remnant, Marcus recounts her remembrances of living among a community of America’s newly arrived refugees from the Holocaust and her hapless search for a father figure and husband among them for her and her mother. Marcus has been called "one of the best lecturers [about a personal story in the aftermath of the Holocaust] of her generation." She lives in Connecticut and has two children and four adorable granddaughters. You can contact the author at info@hannamarcus.com.